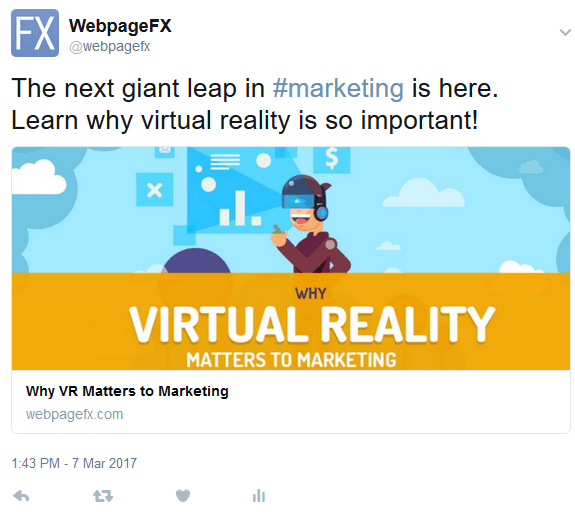 Home// Internet Marketing// What Is Digital Marketing? Digital marketing is the process of promoting your business online. There are dozens of different strategies that can be a part of this process. All of these strategies are designed to improve brand awareness and consistently grow your business over time. With a minimal investment, digital marketing can change the future of your company by earning you more customers, bringing in more revenue, and achieving your business goals. Want to get started using digital marketing to increase brand awareness, site traffic, and overall sales? You can call 888-601-5359 or contact us online to learn more about our custom digital marketing packages! Maybe you still have a few questions though, like - What goes into digital marketing? What does it encompass? How does it help? 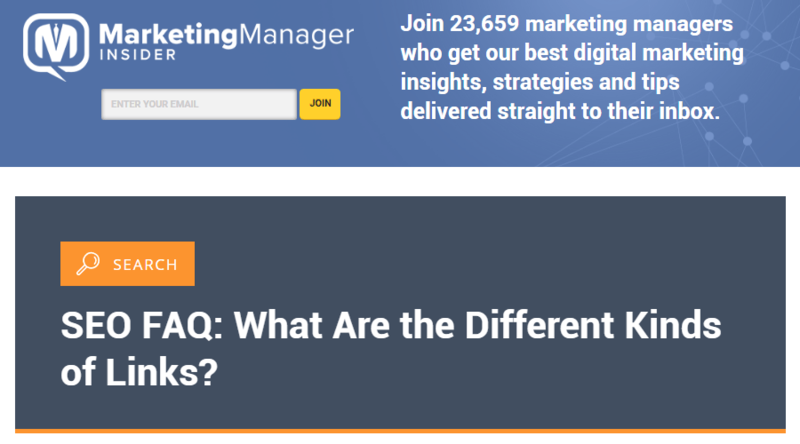 We'll answer all of those questions (and more) with a comprehensive look at all of the marketing strategies that fall under the umbrella of "digital marketing." Keyword research is the process of identifying valuable words and phrases that your customers use to find your business online. It's the first step to almost every digital marketing strategy on our list because it forms the foundation of each one. To find keywords related to your business, you have a few research options at your disposal. While it's not an official keyword research tool, Google has a built-in keyword research tool right in Google Search. All you have to do is start typing a word related to your business — like "shoes" if you sell running shoes — and see what pops up. The suggested keywords will be listed in order of popularity based on how many people search them. Unfortunately, that means this keyword research strategy has a limited success ceiling. It won't be able to tell you everything you need to know to create your strategy, but it will give you a good place to start. Google Autocomplete is also sometimes called Google Autosuggest. The terms mean the same thing, and they're used interchangeably. Keywordtool.io is a great way to generate long lists of keyword ideas. 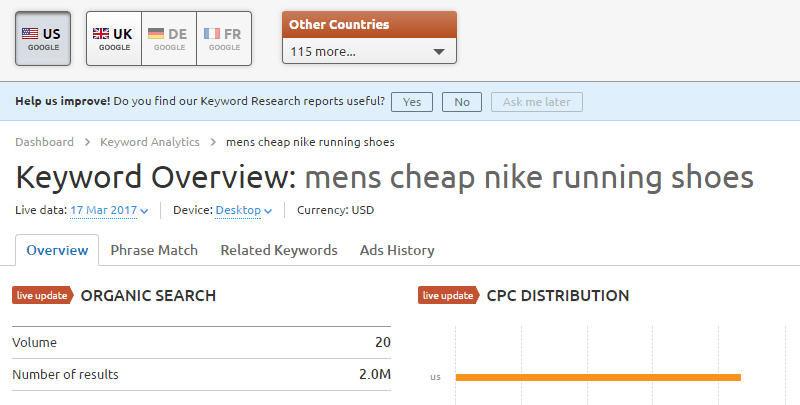 All you have to do is type in the root of your keyword — so again something like "shoes" if you sell running shoes — and Keywordtool.io will generate a list of possible keywords for you to target. Unfortunately, this tool doesn't tell you how frequently people search for those keywords. So you'll have to take your list and use it in another tool to get the full picture of keywords you should target. Fortunately, there are plenty of tools to accomplish this task as well. SEMrush is a paid tool with package options between $69.95 and $549.95 per month. Most companies can research keywords with the cheapest package, though you can upgrade to get more of SEMrush's functionality. With SEMrush, you can upload a spreadsheet of the keywords you find with tools like Keywordtool.io and get data like how many people search for those keywords every month, current websites that rank for those keywords, and other information that can help you decide what keywords work best for your needs. Ideally, you want to find longtail keywords, or phrases of four to five words. They may have low search volume, but they'll also typically have lower competition. Better yet, they'll drive qualified traffic to your business because long search queries imply a searcher's intent to make a purchase. The idea is to target these keywords with future strategies so you can pull a consistent audience to your website. Once you have your keywords chosen, it's time to use them. Content marketing is the process of creating pages on your website that target important keywords so that the pages show up in search engines. 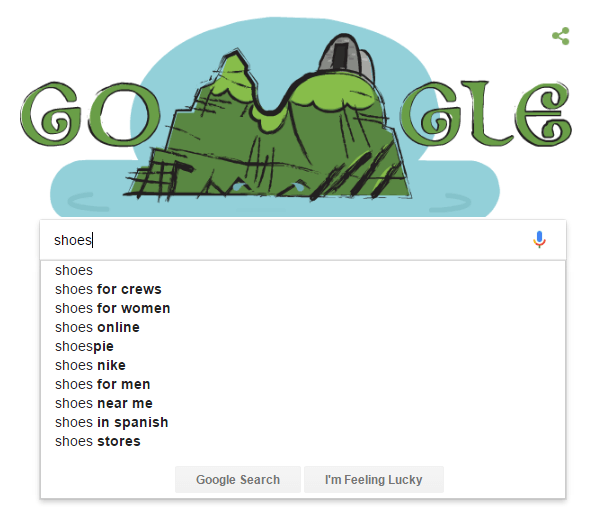 So if you wanted to create a page that showed up in searches for "long-distance men's running shoes," you'd write a page on the topic, include that keyword in the page's text and — if you're an ecommerce company — offer different products for sale. But what kind of content works best for different keywords? And what does each form of content actually do? Blogging is the most popular form of content on the Internet. Thanks to platforms like WordPress, anyone can run a blog for practically no investment. Blogs help build your brand, reputation, and authority online. You can use your blog to post regular updates about timely issues in your industry. For an online shoe retailer, for example, that could be something like how someone can size their feet at home, how arch support works, and why some brands are more expensive than others. By giving that information away for free, you answer your potential customers' questions. That brings them to your site, educates them, showcases your knowledge, and improves the chances that they'll want to buy from you in the future. Writing and publishing blog posts on a regular schedule also gives your readers a reason to come back to your site. On top of that, it encourages search engines like Google to crawl your site more frequently so your newest pages show up in search results. Blogging is an easy, effective, and powerful way to build your brand online. As a result, it's often the first content marketing strategy most companies adopt online. But blogs aren't the end-all-be-all of content marketing. In fact, another format is much better for more permanent pages on your site. Article pages are evergreen pages on your site that you can use for a variety of purposes. Most of the time, these pages are used for service pricing, product information, or ecommerce category listings. Service pricing pages are helpful because they show potential customers how much you charge for different tiers of service. This is especially useful for B2B sales. Product information pages are great for ecommerce sales because they give your customers all the information they need to make an informed purchase. Ecommerce category listings are helpful for collecting similar products into categories, where customers can browse for what they want. Some companies also use this format for FAQ pages, which is a great way to answer a lot of common questions all at the same time. Aside from these options, you can also use article pages to target long-tail keywords that can continually pay dividends long after you publish them. That evergreen content pairs well with blog posts to make a robust, well-rounded content strategy. By using both of these strategies together, you can target a variety of keywords and drive traffic to your site day after day. But these two strategies only deal with text. What about multimedia? Infographics are visual representations of information that make a compelling point with hard data. Infographics are ideal for explaining complex concepts in simple terms. They don't need to be anything fancy, either — some of the best infographics are lists of data points with charts and graphs. If you need infographic ideas, think about how you could best represent your products or services through data. That could be sales trends in your industry by year, the popularity of certain products, the impact of different innovations, and more. Then, once it's up on your site, you can promote it on social media and earn backlinks for it, both of which help spread the word about your brand. But still, there are other content formats that can help your website grow. Video is another great content medium that presents information in an engaging, efficient, and user-friendly way. Plus, Google really likes to see videos on pages since they provide a great user experience. For example, our video on website costs has become one of our most popular content products. The information it provides is excellent, and it's delivered in a clear, concise, and simple way. Example video: How much should a website cost? Your business can use videos like this to improve your rankings in search results, attract more traffic to your website, and provide a quality experience to your users. That shows everyone — including Google — that you're an authoritative source on your industry, and that kind of reputation goes a long way online. But still, there's one last popular form of content marketing that you can use to build your brand. Podcasts are episodic audio content that allow you to discuss issues in your industry. 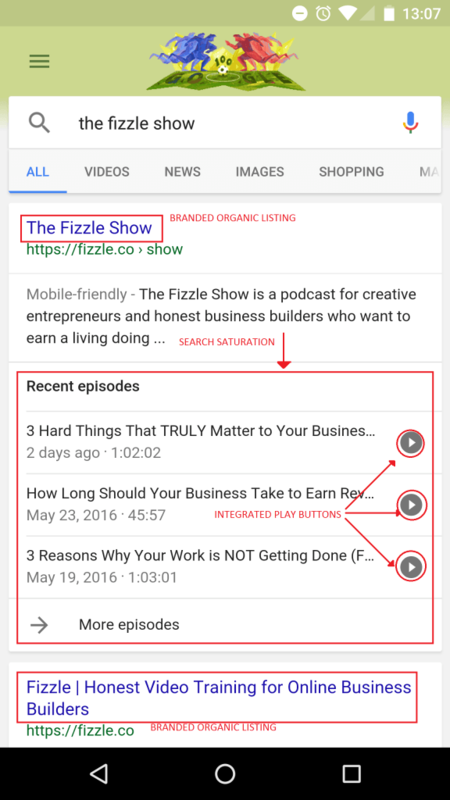 You can make a podcast for about $100, and it comes with a whole host of SEO benefits. Podcasts let you showcase your expertise by discussing current industry topics, offering advice, or even making predictions about your industry's future. You can even use it as a source of revenue, if you'd like to sell ad space. While that's not common for business podcasts, it's still a possibility. More commonly, podcasts are used to interview influencers or discuss trends among coworkers. That keeps the format simple, easy-to-follow, and enjoyable. You can also post your podcasts to networks like iTunes and enjoy search saturation as a result of your work. Plus, podcasting is the only form of content that doesn't require your audience to stare at a screen. Your listeners can enjoy your podcast in the car, on a walk, or while doing chores around the house. With these five formats, you'll have a powerful content marketing strategy that, given enough time, can build your business into an empire. SEO is the process of improving your website to make it show up in search engine results pages. It's also probably the most popular strategy in digital marketing, and at this point, almost every marketer has at least heard of SEO. The previous two digital marketing strategies both play a part in SEO. After all, without high-quality content, you won't have anything to optimize for search engines. While SEO has a lot of ranking factors, these three elements play the biggest roles in SEO success. Technical SEO is the practice of using coding languages to identify different parts of a webpage. Regardless of the languages you use to create your site, you need to write the code well enough for search engines to read it. You don't have to be a computer programmer to make simple changes to your site's code, though. In fact, if you spend some time doing your research, you can find places online to learn them for free. Title tag <title>: The name of your page and the blue text that shows up in Google search results. With these three tags, you'll at least have a start on your technical SEO. Local SEO is the process of adding your business to online directories and targeting location-based keywords with content on your site. This helps you show up in multiple areas online with your brand name, address, phone number, and more. When people look up your business name or industry online, local SEO increases the chances that they'll find your company before they find your competitors. That helps get more customers, earn more revenue, and grow your business. Best of all, most local SEO outlets are completely free. p>The most popular local SEO outlet is Google My Business. It lets you add your company to Google Search and Maps results, which are two of the most popular online properties in the world. But there's still more to SEO than coding and local directories. Once you've achieved your goals for rankings, website traffic, conversions, and other digital marketing metrics, it's crucial that you maintain your site so you can keep growing in the future. After all, digital marketing is constantly changing – and if you don't keep up, your competitors could leave you in the dust. 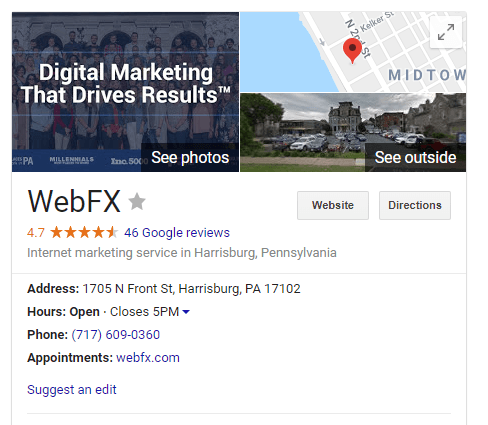 With that in mind, you (or a digital marketing agency) have to keep up with recent trends, updates to SEO, and other factors that impact your ability to compete in the digital marketplace. Once you've laid the foundation of your SEO strategy, maintaining it is typically much easier. In fact, it'll be more time-consuming than difficult, as you'll just have to update tags, add content, remove content, test calls-to-action, and other factors. But some maintenance jobs are tediously difficult and knowledge-intensive. The best example of this is adapting to algorithm updates, like the "Mobilegeddon" of 2015. This required website owners to incorporate responsive design into their websites, which we'll discuss in more detail later. This wasn't a big problem for most companies with SEO partners. But for some smaller businesses, it absolutely destroyed their ability to rank online. These updates mean that every company needs to stay on top of their site and work to maintain their rankings online, even after they've achieved their goals. Social media marketing is the process of promoting your business on popular social networks. Most of the time, it's completely free to promote your company on social media. All you have to do is create a page, fill out all the required information, and start posting links to content on your site. That drives people to your main site, where you can convert them into leads or paying customers. That means that your initial investment with social media marketing can be as small as you want, though there are many paid options you can use to improve your results. These five social networks are the most important to businesses. Facebook is the world's most popular social network, and has more than 1 billion users today. That means there are guaranteed to be a few possible customers on Facebook for your business, even if you only operate a single storefront in a small town. Facebook lets you set up a business page for free, which you can optimize quickly with your business name, hours of operation, address, phone number, and more. In that regard, Facebook helps with your local SEO strategy, too! Once you have everything set up, you can post updates to Facebook that include content from your site, contests for followers, and more. Twitter is the second-largest social network today, and limits its users to 140-character updates, called tweets. Twitter is another place where you can post your brand name, images, and the city of your headquarters. 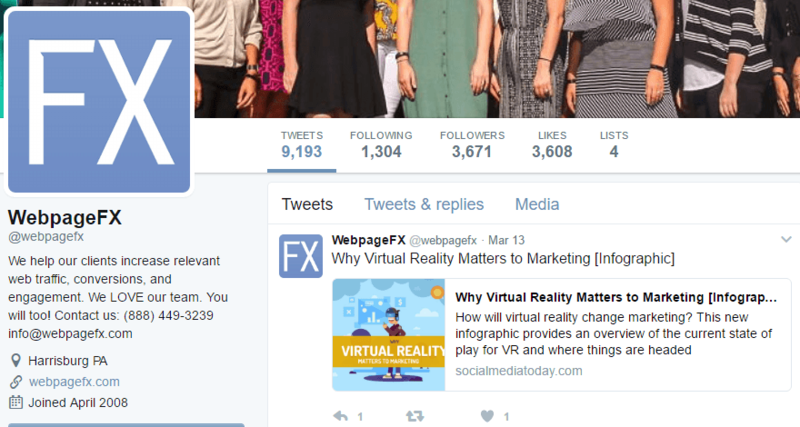 It also lets you quickly gain followers by tweeting links to content, interesting stories, industry news, and more. In recent years, Twitter has also become a customer service medium. This is more common for larger businesses, but its format makes it easy for customers to reach out to the companies they buy from. When you address their questions or concerns professionally, Twitter can become a powerful medium to improve your company's reputation and serve your customers. Pinterest is one of the Internet's most popular social networks, especially for images, DIY ideas, and crafts. That may not sound like it's ideal for every business, but it's actually helpful for every industry — including B2Bs. 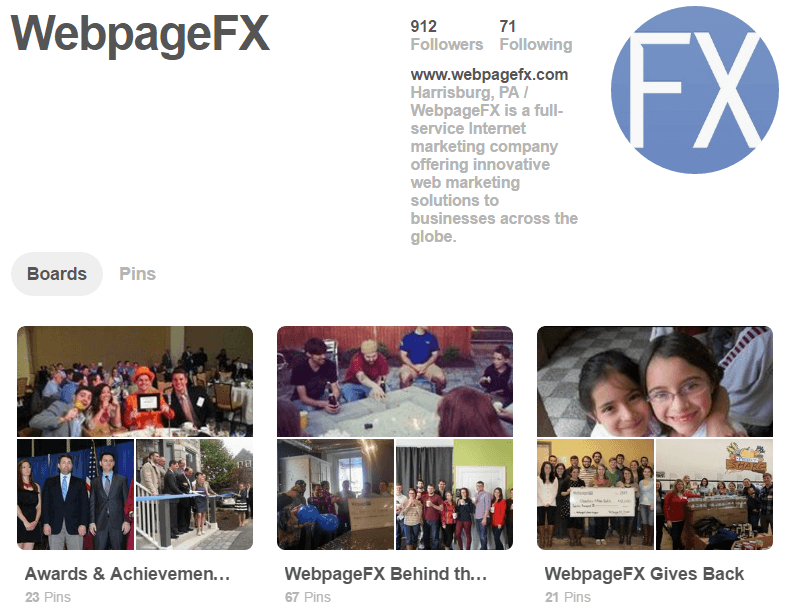 Pinterest lets you share images of your team, the results of your work, and how your products work, among other opportunities. This allows you inform your customer base more effectively than you could with text alone. This is the same principle behind infographics and videos, which is why Pinterest is such an effective social network for marketing. 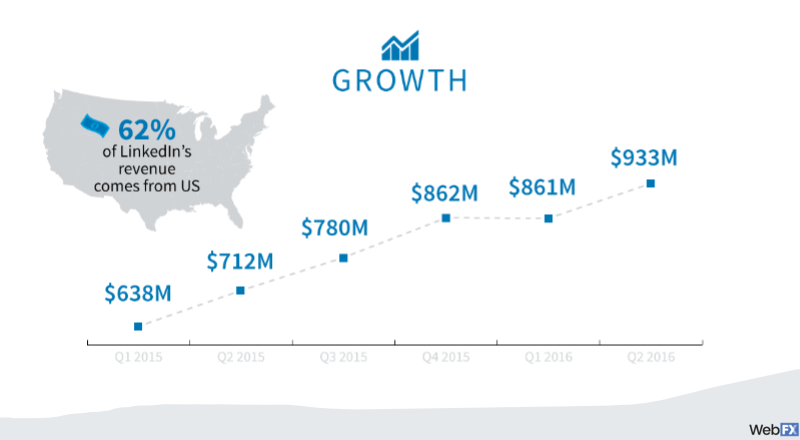 LinkedIn is the world's largest professional social network. It's one of the most important online meeting places for professionals from new graduates to Fortune 500 CEOs. When you use it for marketing — by posting links to your site and participating in discussions — you show that you're a part of a quality business that strives for excellence. Creating a business page allows you to list essential information about your company in yet another location online, and it lets people follow you to get updates about your business. The most powerful part of LinkedIn is its professional context. Since its users are there for professional purposes, you can use it to establish new business relationships, promote your company to potential customers, and more. Snapchat is one of the newest ways to promote your business online. 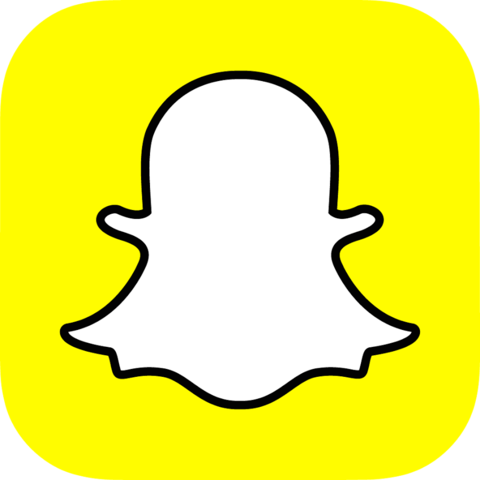 Snapchat is exceptionally popular with young smartphone enthusiasts, which is a growing demographic with more spending money by the day. You can use the app to send or post photos and videos to attract new followers to your account. Snapchat's main purpose is to connect with followers through humor or entertainment. This is easier to do for more laid-back brands than it is for professional brands, so it's up to you whether Snapchat is worth testing. But if you do, you have the potential to engage with millions of users and grow your brand awareness every day. Pay-per-click (PPC) is an advertising model that allows you to reach users on search engines or social networks. It's also important to note that some PPC outlets charge based on a CPM basis, or every 1000 times someone views your ad. Typically, search engines charge per click and social ads charge on either basis. But both of these systems can help you achieve your goals. CPM is typically better for when you want to drive brand awareness. So if you want to reach a lot of people without racking up a big ad bill, CPM is your choice. Per-click is best for converting ad viewers into paying customers. This system works best when you have an optimized landing page that you've A/B tested to convert as many visitors as possible. 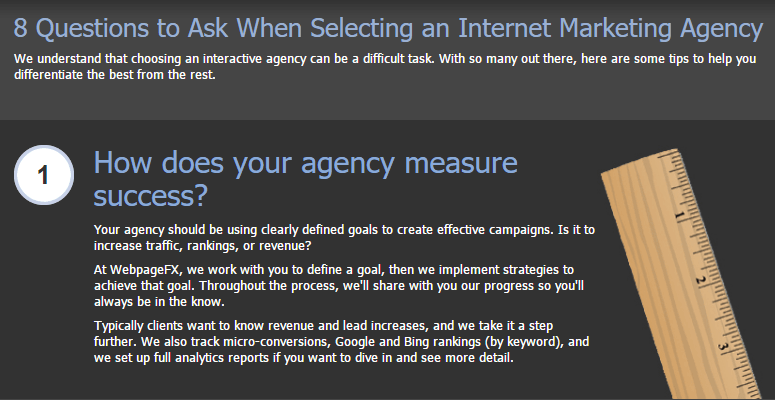 But although search engines and social ads are based on the same ideas, they operate differently. When you advertise with search engines like Google and Bing, you can assign ads to certain keywords. Then, you place a "bid" for how much you're willing to pay for each click to your website, and the advertisers with the highest bids show up above the other search results. This means when you outbid your competitors, your ad shows up directly underneath the search bar — right where search users look after a page loads. The idea is that more people will click your ad when you rank higher. On the one hand, that means you'll pay more by "buying" more ad clicks. On the other hand, it means you'll have lots of opportunities to convert ad clicks into paying customers. And in some cases, it only takes one or two conversions to recoup your cost and turn a profit on your PPC campaign. So once you determine keywords that generate results for your business, you can use PPC to maximize your visibility and generate more qualified traffic. Social platforms often let you choose between a CPM and per-click payment model. That makes social ads more versatile than search ads, but social networks — even the big ones — don't get as much daily traffic as Google. However, social ads allow you to incorporate images, gifs, and sometimes video into your ads so you don't have to rely on text to get new customers. Many social networks still have rules regarding their ads, though. For example, Facebook doesn't allow any images to have more than 20% text. Other networks, like Twitter or Pinterest, are more accepting of other ad formats. And still others, like LinkedIn, prefer to keep ads to small images or text-only formats. With social ads, you have so many choices at your disposal that it'll take some time to find the most effective network for your needs. Email marketing is the practice of sending tailored messages to your audience so you can reach them where they're already looking every day — their inboxes. Email marketing is fundamentally different from spam because email marketing requires people to give you their contact information before you reach out to them. That means the only people who hear from you are people who want to hear from you. That protects your company's reputation, increases the chances that recipients will enjoy your email, and will generate better results. For most companies, email marketing breaks down into two main categories: newsletters and lead nurturing. Newsletters are emails that go out to a large list, and provide general information on your company or industry. So if someone wants to keep up with your business, they'd subscribe to a newsletter. This is ideal for people in your industry who want to know what you're doing, and it allows your business to show the public that you're an authoritative resource in your industry. Newsletters accomplish that by going out at regular intervals, like every week. They showcase important information, like new hires or other company news. In fact, you could have a newsletter dedicated to curated industry news from around the Internet. Then, you don't just prove you're an authority — you prove you're helpful and informed, too! Lead nurturing is the process of converting leads into paying customers by sending them additional information based on where they converted on your site. This kind of marketing requires a lot of in-depth thought, testing, and revision to work. But once it does work, any lead-based business can earn new customers (and more revenue) much more quickly than before. So let's say you sell industrial equipment to construction companies. 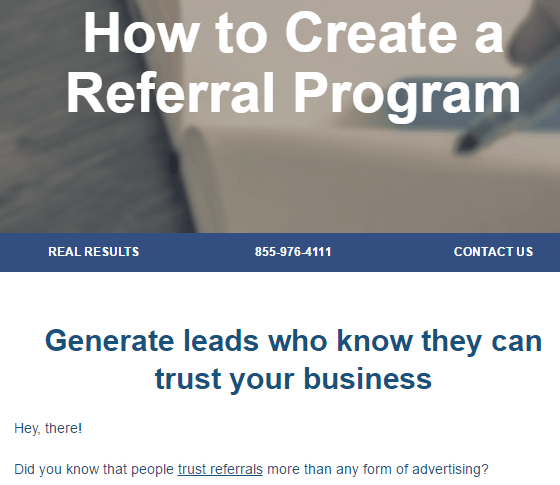 A new user converts into a lead and gives you their contact information. They converted on a page about bulk movers. Another user converts on a page about backhoes. While these machines fall under the same category — construction equipment — they're used for different purposes. That means the company that's interested in bulk movers won't want the same information as a backhoe. By sending them different emails that are tailored to their specific needs — which you can also automate — you increase the odds that one of those leads will convert into a paying customer. Influencer marketing is the practice of reaching out to well-known people in your industry and getting them to talk about your business. First, you need to create compelling content that'll resonate with others in your industry. That could be new data on trends, a well-written answer to a common problem, a great graphic, and other forms of engaging content. Once you have your content, you can reach out to influencers via two channels — email and social networks. Email works great when you want to deliver a personalized, unique message to an influencer to show that you know them and respect their work. Reaching out over social media is also great for reaching influencers, but has the added bonus of having your message potentially seen by other people in your industry. That naturally proliferates your brand to new viewers, some of whom may visit your site for more information. In this way, influencer marketing can deliver excellent results in terms of brand awareness and site traffic. In fact, it can even get you more customers, depending on your industry. The point is to ask an influencer to share a link to your site with their social media followers and other influencers. That influencer basically vouches for you to others in your industry, giving you more credibility. But best of all, it'll show that you're an authority in your industry. Even if an influencer turns you down, they (and anyone who may see your message on social media) now know you exist. That's an essential first step in growth online. Outreach is the process of creating great content on your site and sending it to other website owners to earn a backlink. This is similar to influencer marketing, but the goal of outreach isn't to earn credibility or social clout — it's to improve your SEO. Outreach works best over email. You can send someone a short message that asks them to look at your content, repost it on their site, and link back to your site for credit. This is important because backlinks play a huge role in SEO. When you have a lot of backlinks from high-quality websites, Google sees those backlinks as votes of confidence. Google will then rank your site better in search results, which will help you attract more traffic and customers to your site from organic search results. Webinars are online conferences based on a certain topic that are used to educate potential customers and build the authority of your brand. Typically, only industry-leading companies offer webinars to their clients or others. That's because webinars can be time-consuming and expensive. However, they offer a great opportunity to reach potential customers in a format that very few businesses use. All you have to do is create a slideshow, get a working microphone, find a webinar provider, and start. Webinars can also work for your video marketing strategy as well. Most webinar providers let you record your presentation, and you can post the recording on different pages of your site to help those pages rank better in Google search results. Webinars are one of the most complex strategies in digital marketing today, but if you spend the time to learn how to host them, they're incredibly effective for two purposes. The best way to get new customers is to make sure they feel comfortable buying from you. And the best way to do that is to educate your main customer demographic. That's the main point of digital marketing, after all — informing your customer base instead of selling directly to them. You can check out an example below where Tyler Bouldin from our strategy team talks about SEO for beginners. Providing information on your industry helps your customers understand what they need and how you can help, which makes them more qualified buyers. You can use webinars for education by sending out webinar invitations to everyone on your email list. If you want to address a specific vertical in your business, you can send invitations only to people who qualify for that vertical. Similarly, if you want to give a general overview of your business to a more general audience, you can invite everyone on your email marketing lists. Then, you can set up a webinar and earn great results for your business. You just have to prepare your information, send out the invitations, and present! Webinars can also work well to prove your authority on a subject. You don't necessarily have to set up a separate webinar to prove your authority on an issue, though – this is often a byproduct of educating your customer demographics. That makes authority a great coincidence of hosting a webinar in the first place. After all, how many companies can say they host webinars for their customers? Unless you're in a tech-savvy industry, there's a good chance you're the only one! Web design and development are essential to online success. Without a good-looking, high-functioning website, you simply won't attract or engage the customers you need to grow. That's because people make snap decisions about companies based on their websites. Even if you're not selling to a web-savvy demographic, your website should still have modern design elements, convenient usability, and other qualities that set it apart from your competitors. Web design refers to the overall look of your website. Today, modern websites use responsive design, which makes them work seamlessly on desktop computers, smartphones, and every device in between. In addition, web design includes elements like navigation menus, logo usage, coloring, and general layout. Even your fonts are determined by web design! So when you want to get and keep people on your website, the best way is to make your website look great. But web design needs development behind it to succeed. While web design deals with how your website looks on the front end, web development is all about functionality from the back end. 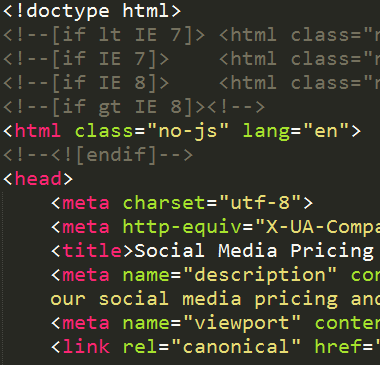 That may sound familiar — we mentioned the same coding languages in our section on SEO. But web development is different. SEO is concerned with making sure Google can "read" the code on your pages. Web development is concerned with providing a great user experience to your website visitors. So if you want to have a calculator, slide bars, or any other interactive element on your site, you'd need to use web development. Similarly, proper web development ensures every part of your site works the way you intend it to work, whether that means links taking people to the right pages, setting up a sitemap for Google to read, or any other back-end quality that improves your website. 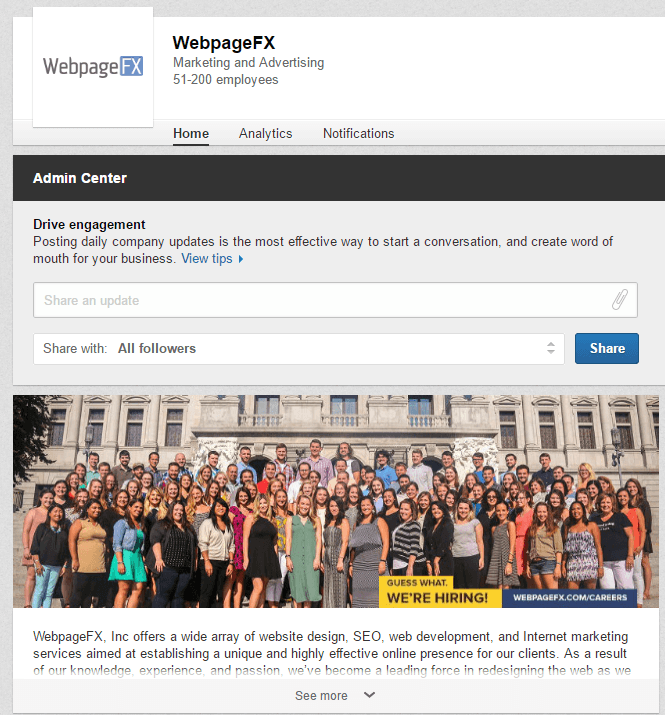 At WebFX, we have hundreds of experts who specialize in different aspects of digital marketing. When you partner with us, their skills are all at your disposal. We have years of experience creating digital marketing strategies for clients in a variety of industries, and we've worked wonders for our current and past clients. Do you want to grow your business through digital marketing? Contact us today to speak with a strategist!